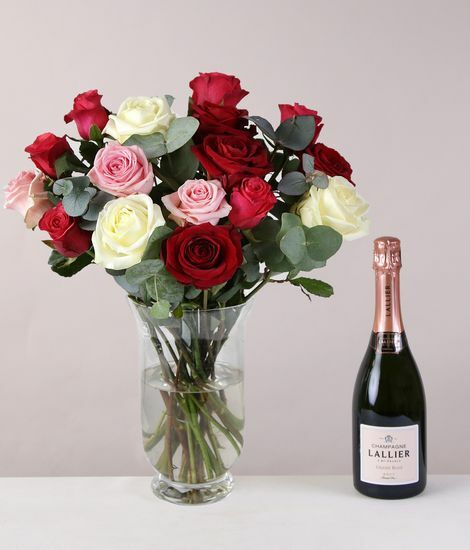 Choose from a simple bouquet with a loving message or you can be wildly extravagant and choose a large bouquet with champagne, chocolates or cuddly toys to accompany your romantic message. Whatever you choose, our Valentine's Day flowers are the perfect way to make this a truly unforgettable occasion of pure romance. 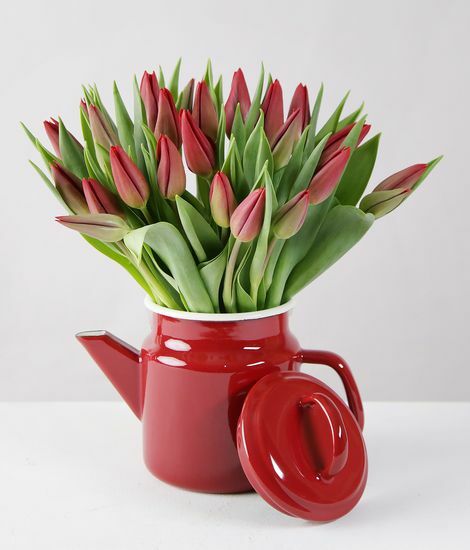 Valentine’s Day doesn’t have to mean red roses. 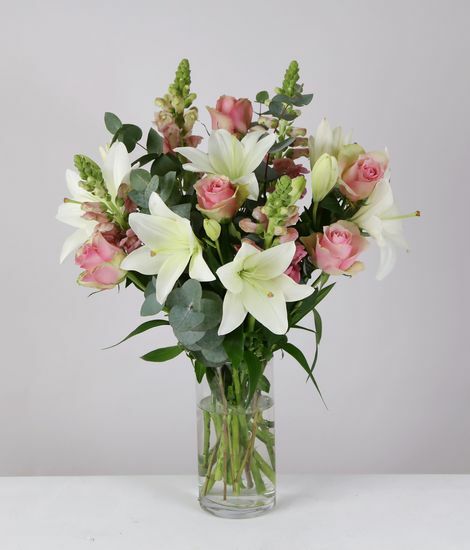 Dare to be different with this striking bouquet, which makes a statement with delicate pink roses and antirr arranged with bold white lilies and elegant eucalyptus. 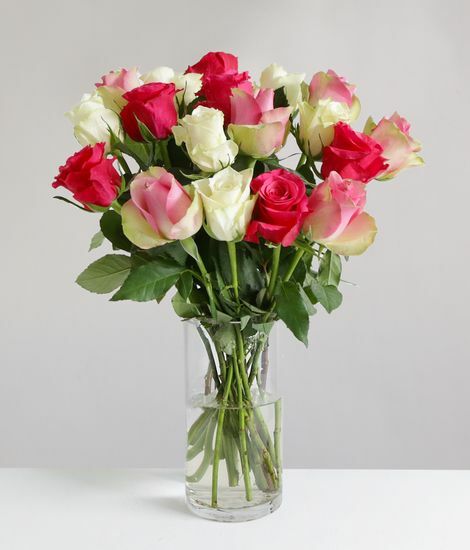 Surprise your beloved on Valentine’s Day with this pretty arrangement of eighteen radiant roses. A romantic selection of delicate pink, seductive cerise and pure white blooms, this bouquet is a contemporary twist on a traditional favourite. 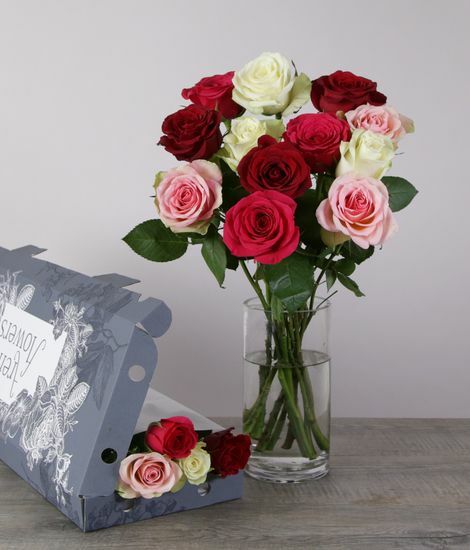 When you want to wow your beloved with the finest roses money can buy, look no further than these: a delicately fragranced selection of pink, white and red roses elegantly framed by eucalyptus leaves. This modern twist on the traditional bouquet of roses is guaranteed to put a smile on your beloved’s face this Valentine’s Day. Surprise a special someone with this thoughtful gift set and they’ll be left in no doubt as to your feelings. 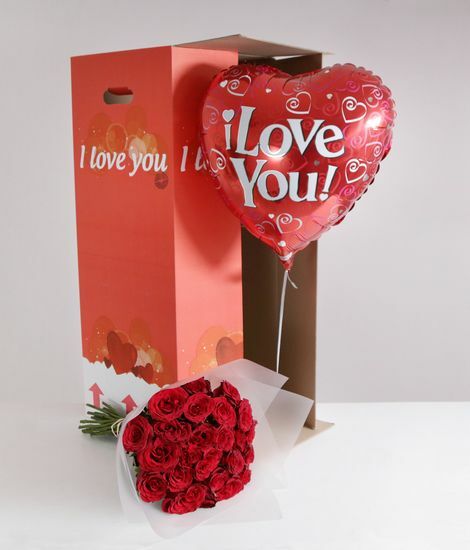 As if two dozen of our finest red roses weren’t enough, this gorgeous gift set also comes with a bold-as-brass ‘I Love You’ balloon presented in a box with those same three magical words. 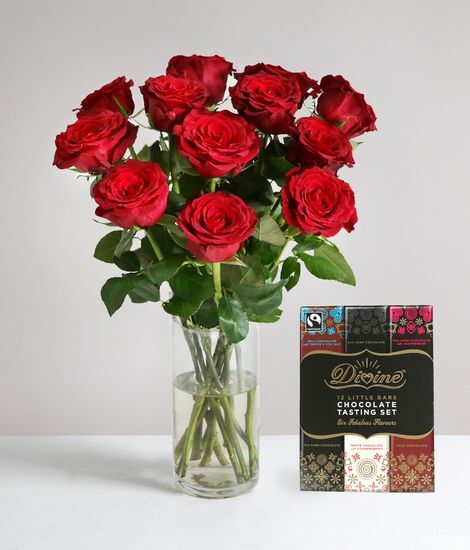 Flowers and chocolates: the hopelessly romantic way to let someone know you love them. 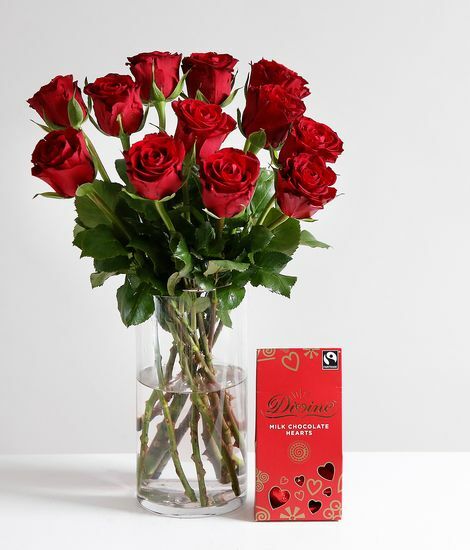 Make their day with a dozen radiant roses coupled with a box of heavenly heart-shaped chocolates. A gorgeous bouquet and bubbles to match: this decadent gift set is the perfect choice when only the finest will do for your beloved. 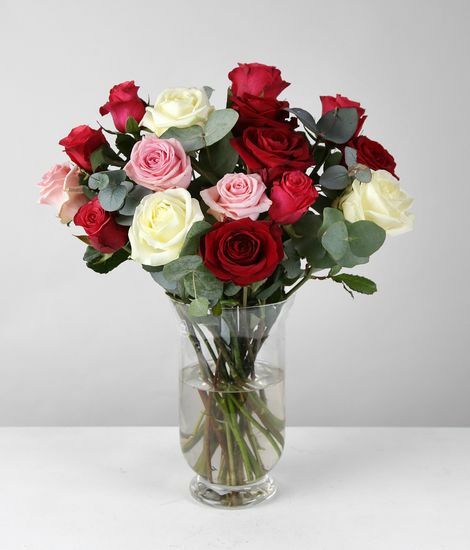 We’ve selected beautifully fragranced red, white and pink roses and arranged them with elegant eucalyptus to create a stunning twist on the traditional Valentine’s Day bouquet.